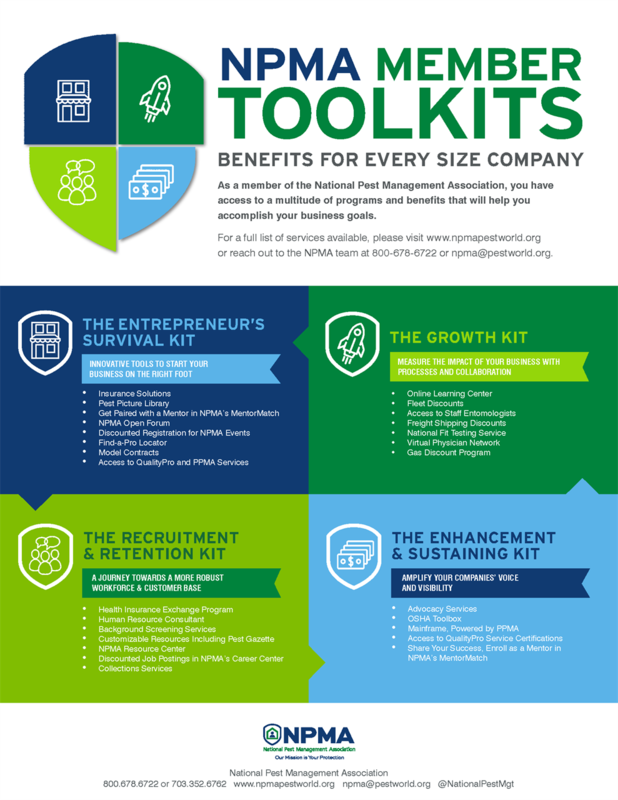 Your membership with AzPPO entitles you to joint membership with NPMA. For more than 75 years, the National Pest Management Association (NPMA) has represented the interests of its members and the structural pest control industry's commitment to the protection of public health, food and property. Through the efforts of NPMA, the pest control industry is stronger, more professional, and more unified. The NPMA has guided its members and the pest control industry through the creation of verifiable training, the changing technologies used by the industry, and public and media relations.